Research on obesity and it's effects on health. Key scientific findings on our progress combating this health epidemic. #1 The obesity rate is steady despite our efforts in the medical & wellness industries. Research on obesity seems to contradict our current focus and investment in health, wellness and weight loss. Despite advances in health-related products and services over the past 20 years, current data show that 34% of US adults are obese and another 35% are overweight. The CDC created a map that compares obesity every year in each state through 2010. Looking at the maps, you can see a huge increase in the obesity rate in each state between 1988 and 2010. (9) View the CDC obesity map. The highest obesity rate is in the Southern states, where the diet is known to be higher in calories, sugar and unhealthy types of fat. Interestingly, the southern states also have the highest percentage of inactive adults. #2 Obesity has close links to heart disease and diabetes. Obesity research shows a direct relationship between excess weight and risk of serious chronic disease. In fact, many studies show that obese people have at least a 50% greater risk of premature death from any cause than their normal weight peers. Studies have uncovered a progression of deterioriating health by studying what is known as metabolic syndrome. Metabolic syndrome X (MSX) is a combination of medical conditions (increased abdominal body fat, elevated blood pressure, high blood sugar and abnormal cholesterol levels) that increase your risk of developing heart disease and diabetes. Doctors use MSX as a diagnosis classification to identify at risk persons before serious medical problems set in. A person diagnosed with metabolic syndrome has a collection of warning signs (as noted above) but is not advanced to the point of heart disease or diabetes. This condition affects 34% of adults in the US including over 40% of people over age 50 (1). Improvements in exercise and diet are essential for anyone with MSX. The reasons? As one example, diabetes has a dire set of complications including stroke, blindness, nerve damage, kidney disease, skin disorders, and lower limb amputations. The CDC states that people with diabetes have 2 times the death risk of non-diabetics who are the same age (2). In addition, cardiovascular disease is the leading cause of death in the US, taking one life every 37 seconds, and accounting for more than 1/3 of all deaths each year. We could add 7 years to the average life span just by eliminating cardiovascular disease (3). 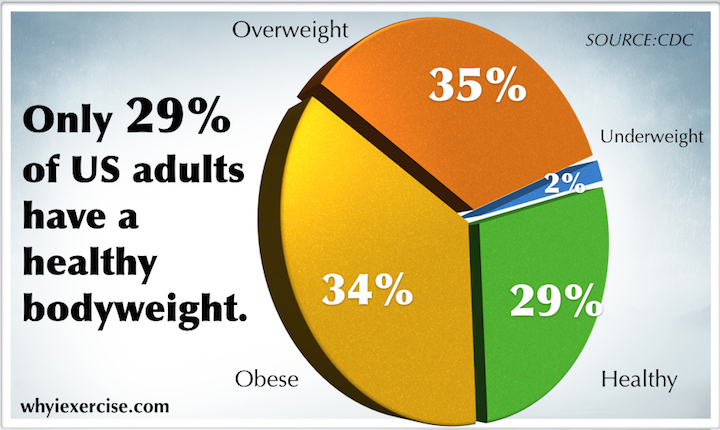 #3 Obesity significantly impacts your life expectancy and cost of living. 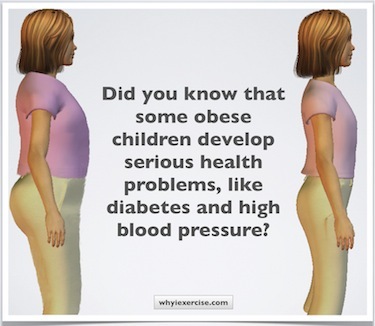 #4 Even obese children face significant health risks. Childhood obesity facts show that 17% of US children and adolescents are obese, and high blood pressure, for example, is much more common in obese children than in normal weight kids. How do you know whether your child is obese? Body mass index is the standard measurement for obesity in young children, but in teens, a simple waist measurement is the most important obesity test. Research on obesity makes it clear that many of us need to commit to a weight loss program. But what is the best approach? #5 Lifestyle change is the best way to reverse obesity-related health problems. Weight loss can be achieved with lifestyle change, and diabetes is preventable, even for people who are overweight and are pre-diabetic. In 2002, the New England Journal of Medicine published a study showing that changes in diet and exercise reduced the risk of developing diabetes by 58% for the pre-diabetic population (people who already have elevated blood glucose levels). Lifestyle change, in this large study, turned out to be more effective than medication in reducing the risk of developing diabetes. Obesity scale Get a research-based health rating from simple body composition tests. Find out how every pound and inch of improvement counts. Childhood obesity facts Find out whether you (or your child) need to lose excess body fat, what difference it makes to be overweight, and what you can do about it. Return from research on obesity to weight loss tips.